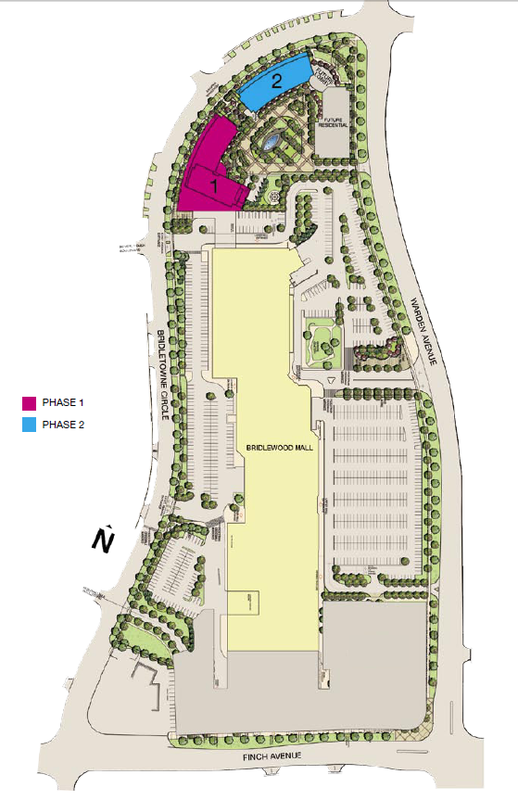 CELEBRATION Condos at Bridlewood Mall (refer to this post) was launched with much cheers and fanfare in May. 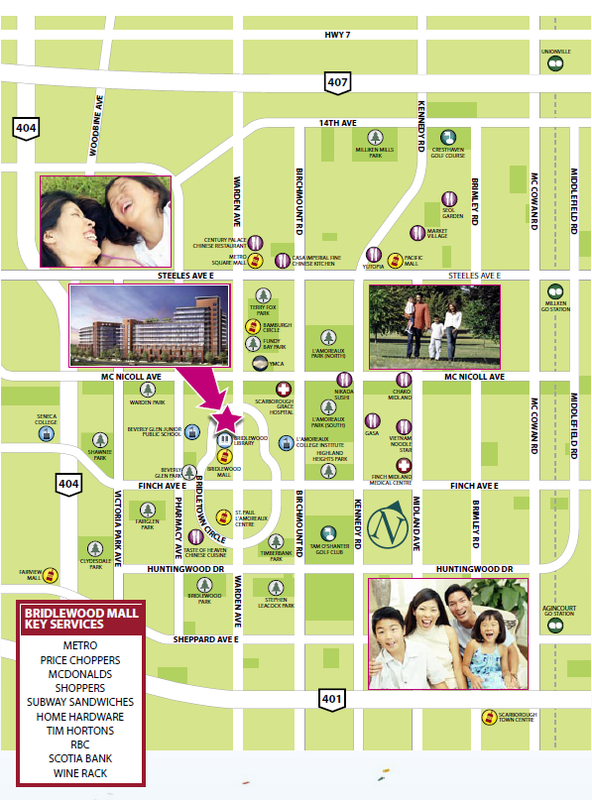 The market just loved Phase 1 so much that only those clients who are lucky have gotten their much-sought-after units. Today is the first day of summer, also known as summer solstice and the longest day of the year. 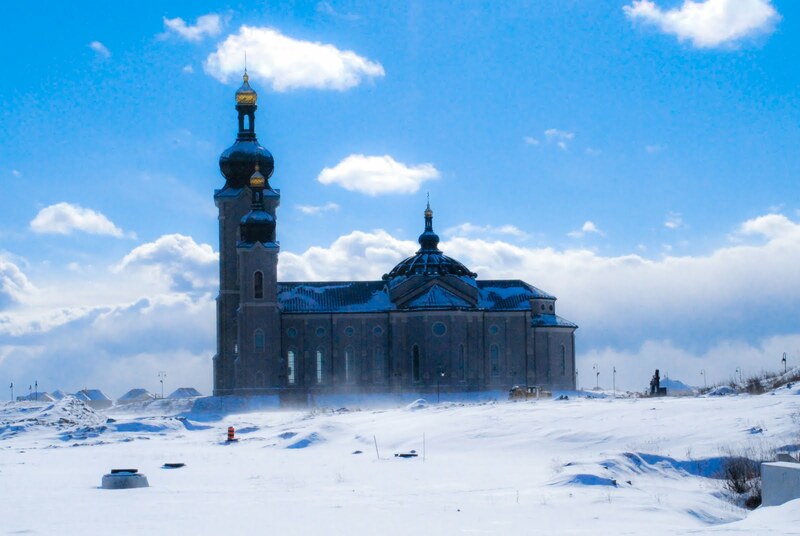 To chill, we have prepared some images of the "cool" Cathedraltown from the past winter (January 2011). For video and more images of Cathedraltown, check here, here and here. 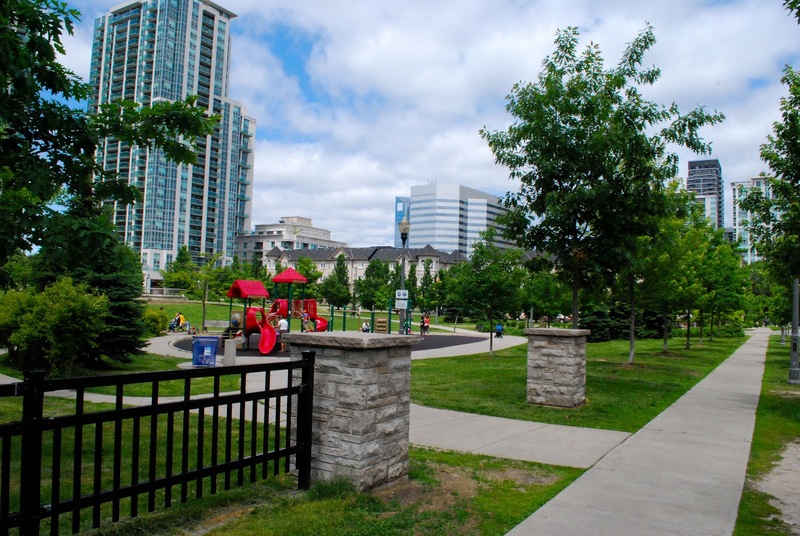 North York City Centre is where Hwy 401,Sheppard , Finch and Yonge cross; where subway stations and transit networks meet; where business, public administration, retails, culture, education and leisure take place and where diversities take root and bloom. 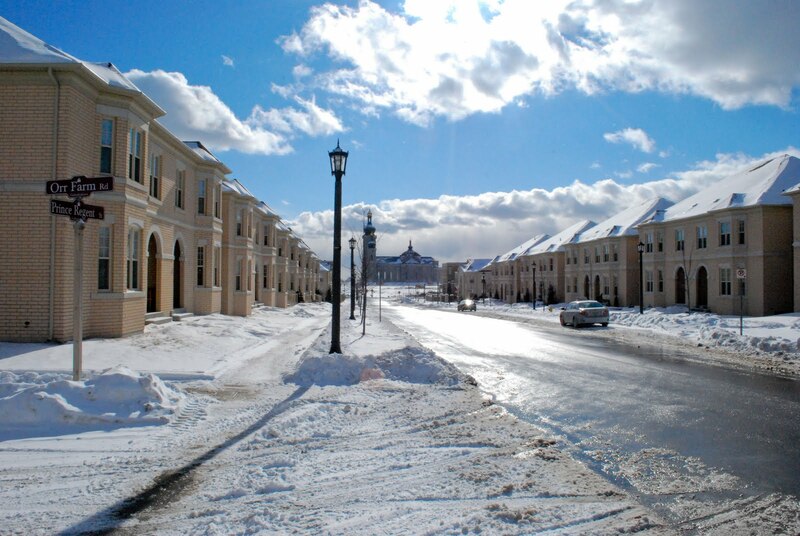 Amidst all activities and productivities, there is this cozy, peaceful and beautiful community - Avondale. 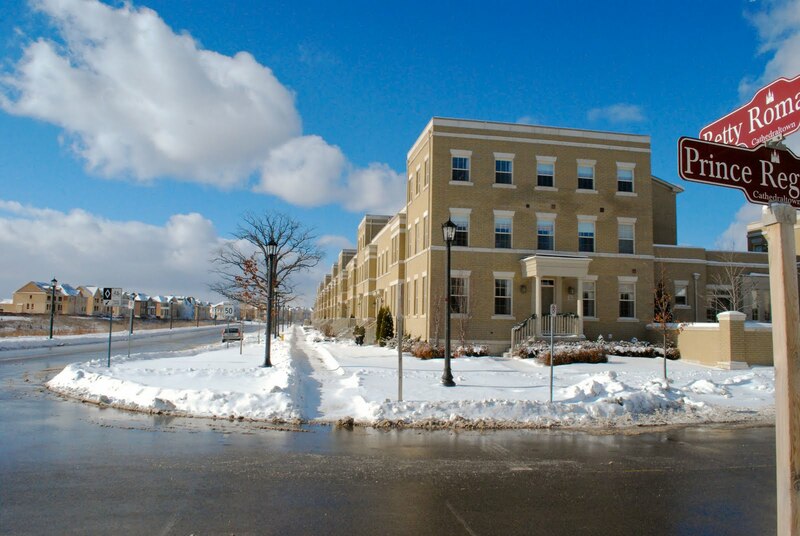 Architecturally attractive condos and townhouses developed around a two-acre park with many walkways, courtyards and parks interconnecting elements of this community. 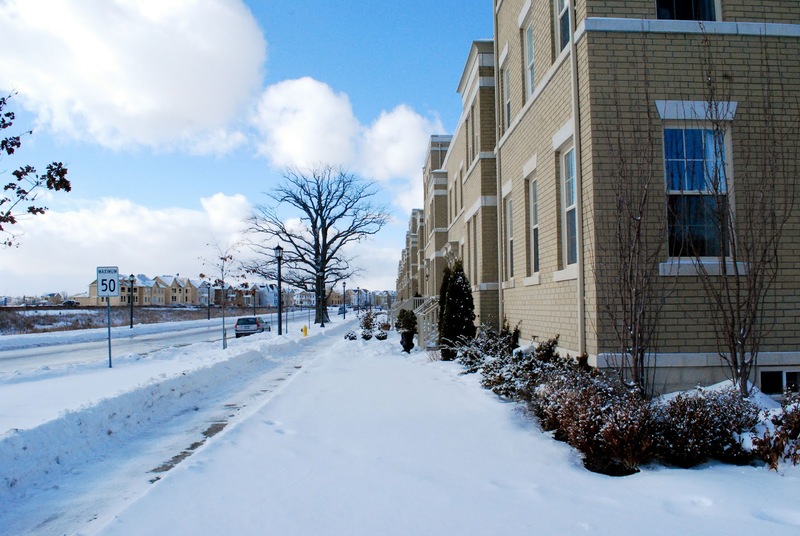 In the busy North York downtown, Avondale is like an oasis. 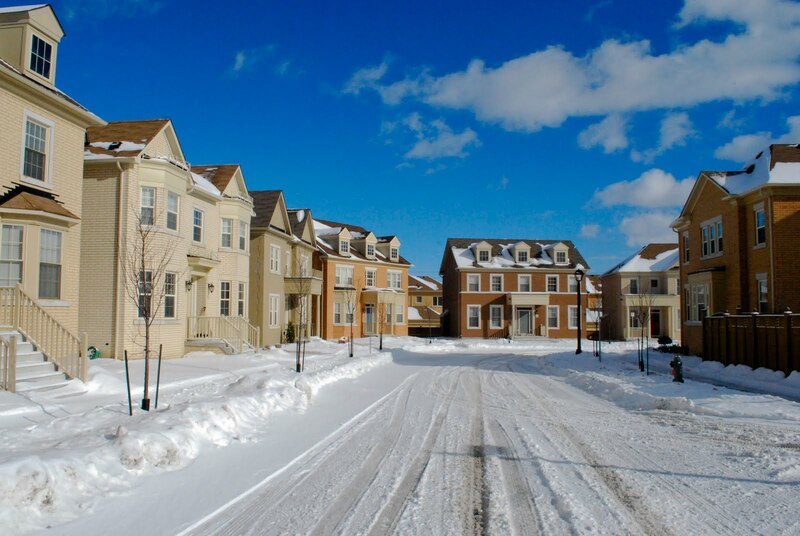 Do your visiting friends and families ask, "what is the average price of a home here?" If you don't know already, here is the answer.... 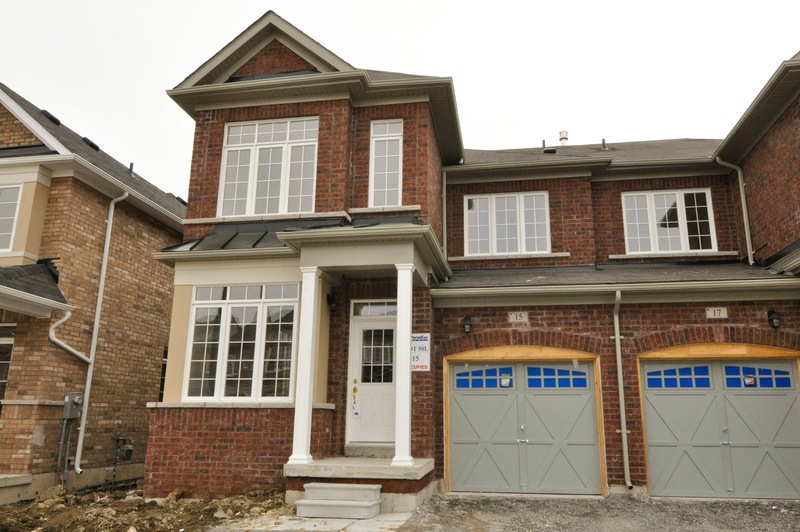 According to Toronto Real Estate Board (TREB), the average price of single-family homes (including various home types) transacted in 2010 was $431,463. The average single-family home price was first tracked in 1966. A home for a family was $21.360. 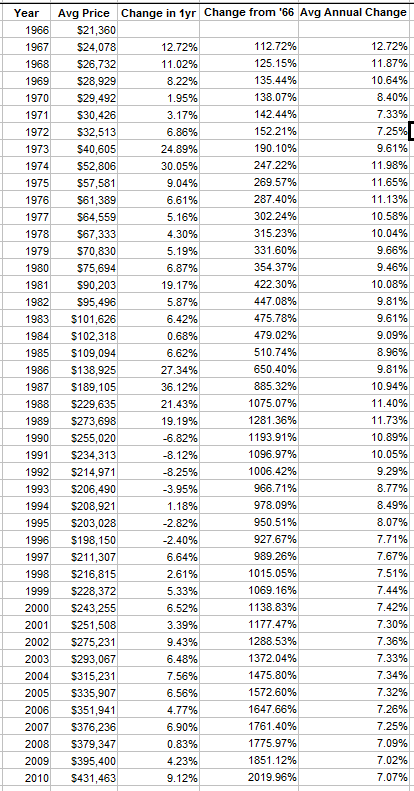 Over the past 44 years, the average home price has been multiplied by 20 times. 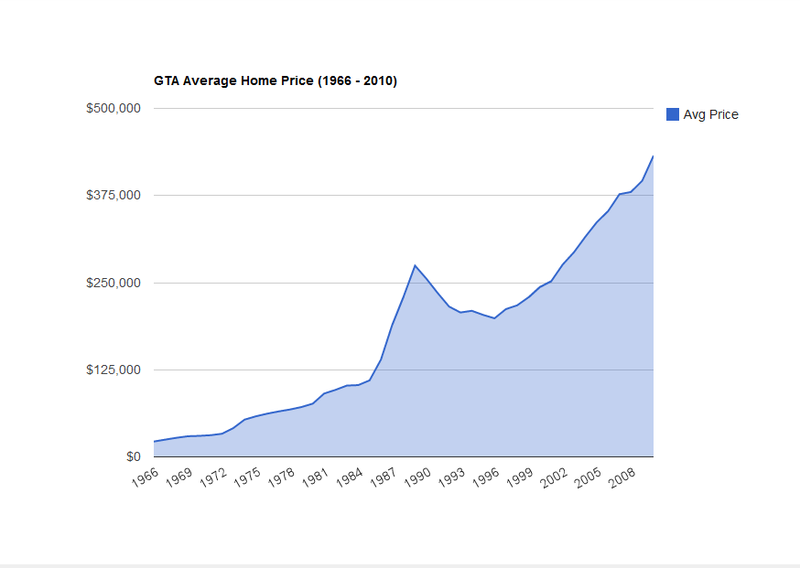 The average annual change rate of GTA home price is +7% for the past 44 years. 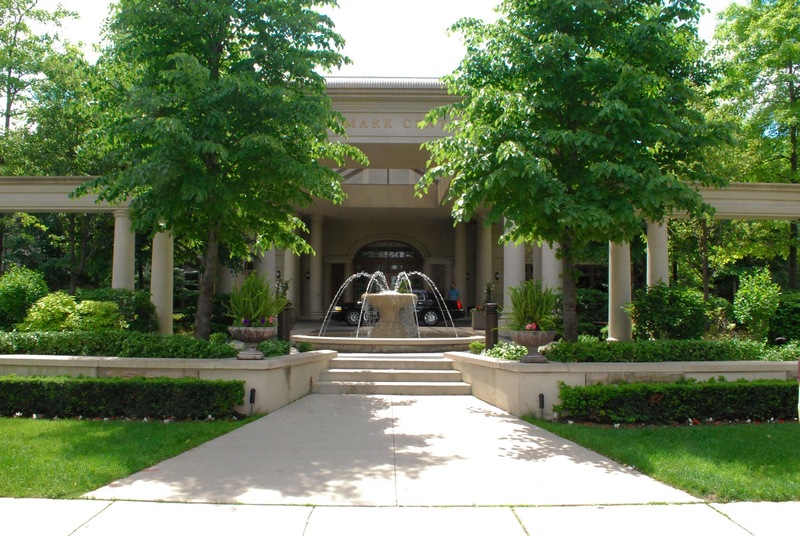 Toronto real estate has been a good investment vehicle for the past decades. 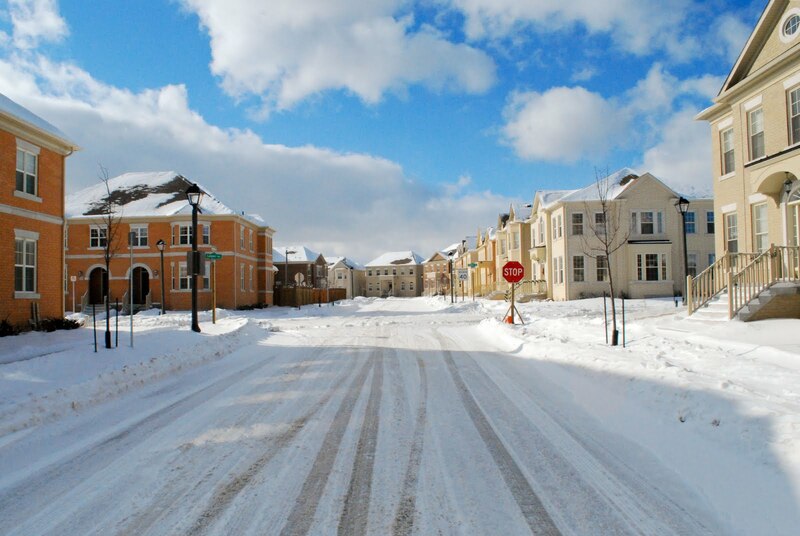 Of course, right location, right price and preparedness to wait are key success factors. For those who love numbers, the table to the right is for you. To sign off, here is our slogan.